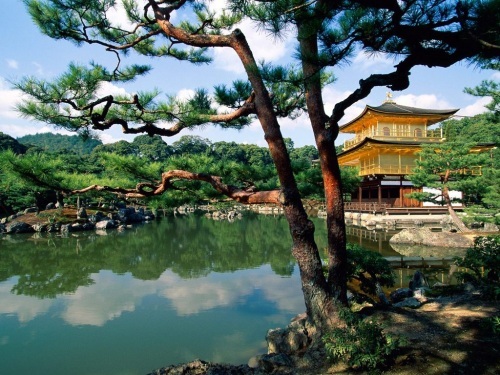 Air Canada is having an unadvertised sale on some flights from Toronto to Osaka, Japan (KIX) for $786 CAD roundtrip including taxes. From Osaka, it's a 26 minute train ride ($8) to the beautiful city of Kyoto if you use the special high speed trains on the JR Kyoto Line. Airfare.com is the only third party booking site showing these prices at the moment. They are not showing up on Kayak Canada, only the U.S. version of Kayak. This blog post will be updated if any more cheap date combinations are discovered. 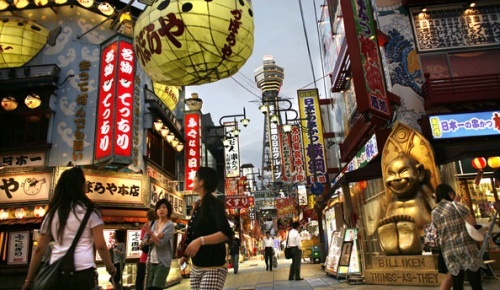 toronto, yyz, flight deals, air canada, asia, japan, east asia, air canada rouge, osaka, kix and kyoto. 4 Responses to "Toronto to Osaka, Japan - $786 roundtrip including taxes | 26 minute, $8 train ride to Kyoto"
Am I doing something wrong or is the deal off? It looks like prices have gone up about $60 since this was posted. Try this link, the prices will be in Canadian dollars. There seems to be a few of Kayak's booking partners that are showing it for $847 CAD roundtrip. 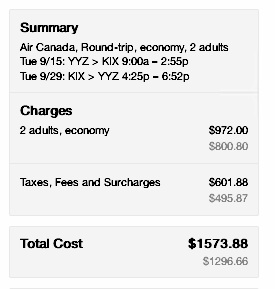 You can also click through to the Air Canada site directly. Have a great time Olga !